Cardiovascular exercise -- you know you need to do it to stay healthy and manage your weight, but you can never seem to find enough time between work, family and social obligations. The good news is you don’t need to spend hours plodding away on the treadmill -- you just need to choose the right workout. Activities that use more muscle mass and that involve some sort of resistance will be more taxing and burn a greater amount of calories. In addition, the higher the intensity, the more calories you’ll burn. Take a look at our top 10 picks for cardiovascular exercises that give you the most bang for your buck. 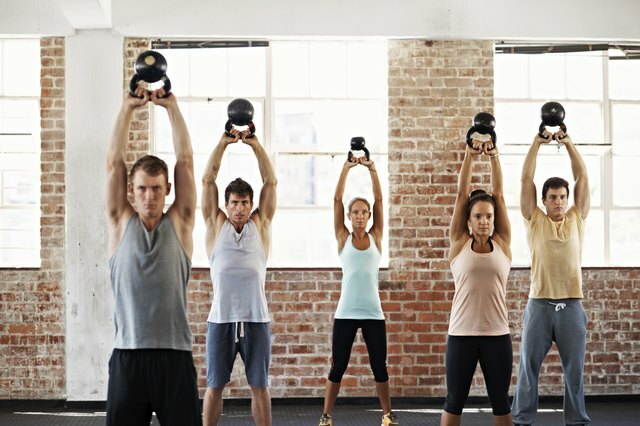 Tabata training is a high-intensity exercise modality that burns a lot of calories in a short period of time. The protocol consists of doing 20 seconds of work at an all-out pace, followed by 10 seconds of recovery. You repeat this eight times. Almost any activity can be done in a Tabata-training style. A typical Tabata workout might include four exercises -- for example, push-ups, squats, jumping rope and crunches. Although the first round might seem easy, just wait. By round eight, your muscles will be screaming! 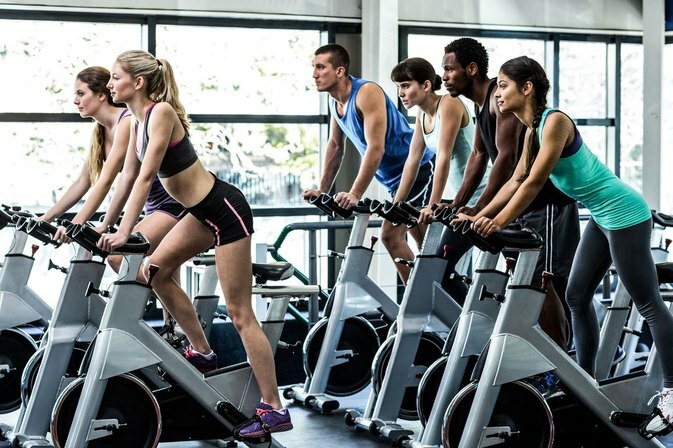 A study conducted by the American Council on Exercise determined that a typical Tabata workout can burn an average of 15 calories per minute, or 450 calories per half hour (workouts usually don't last longer than 20 to 30 minutes). Every muscle in your body, from the tips of your fingers to the ends of your toes, is working when you're climbing a rock wall -- whether you're in a climbing gym or in the great outdoors. The large muscles of the back and legs are the primary movers, requiring energy in the form of calories to get you from the bottom to the top. 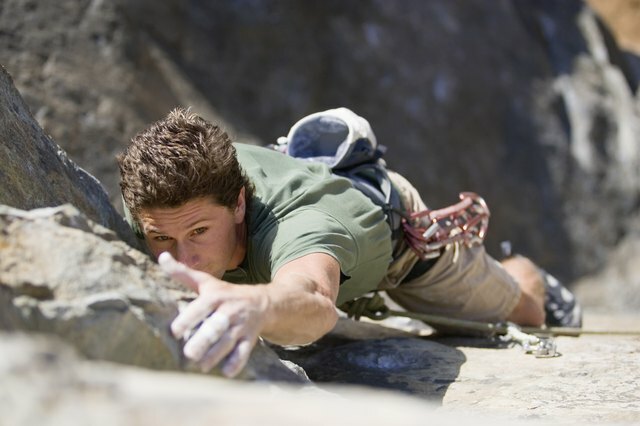 A 155-pound person climbing for 30 minutes burns approximately 409 calories. Climbing at a good pace or on a really challenging route can increase your total burn. Your whole body works while you're swimming. Your legs kick, your arms stroke, your core contracts to keep you afloat. With that much muscle recruitment, it ranks as one of the top calorie-burning cardio exercises you can do. But your stroke choice can make a difference. 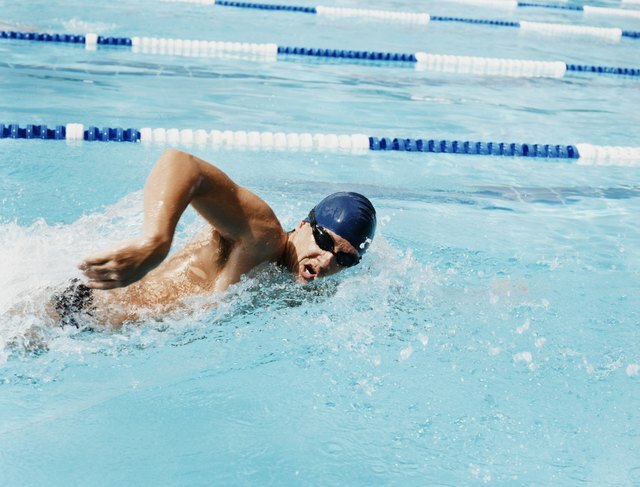 A 155-pound person burns 372 calories in 30 minutes doing the breast stroke -- an impressive number. But that same person doing the butterfly for 30 minutes will burn 409 calories. Where you swim makes a difference too. “Swimming in the ocean where you're going against the current -- that would be a really, really intense workout,” says ACSM spokesperson Jim White. Whether you're biking or running, throw some resistance in the mix to significantly boost your calorie burn. “Running up a steep hill recruits more muscle fibers,” says ACSM spokesperson Jim White. 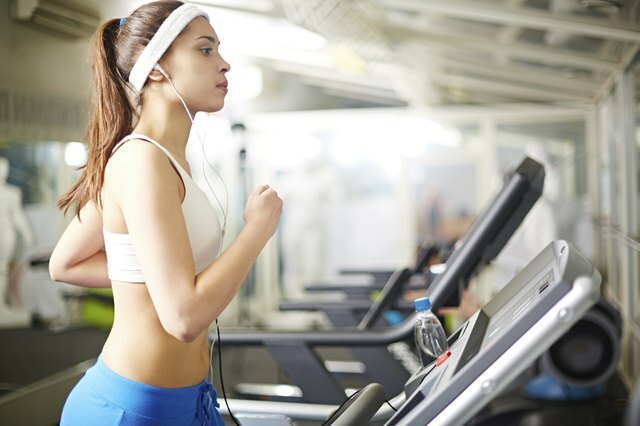 “It's going to be taxing, and it's going to definitely burn more calories.” In fact, you'll burn about 10 percent more calories for each degree of incline versus running on a flat surface. That means a 155-pound person running at a five-mph pace will burn 373 calories every half hour at a five-percent grade versus 298 calories at the same speed on a flat surface. Get those glutes firing even more and up your calorie burn at the same time by incorporating more hills into your workout. You already know running is hard, which might be why you’ve been avoiding it. But, barring any physical limitations like illness or injury, you should definitely make friends with running, because it’s a top calorie burner. “Because you're moving your body over the ground, running typically has higher rate of caloric expenditure than a lot of other exercises,” says Andy Doyle, Ph.D., associate professor of exercise science at Georgia State University. Running at a steady pace of six miles per hour, a 155-pound person can burn 372 calories in 30 minutes. The faster you run, the more calories you'll burn. Although it may have seemed effortless as a kid, jumping rope is a highly taxing activity that most people can't sustain for more than a few minutes at a time. It's one of ACSM spokesperson Jim White's top picks for big-time calorie burners. “When you're jumping like that, it's almost like full sprinting,” he says. A 155-pound person can burn 372 calories in 30 minutes. But, because it's hard to do for an extended period of time, White recommends doing it in intervals, where you jump rope vigorously for a few minutes and then recover by jogging in place for a minute or two. 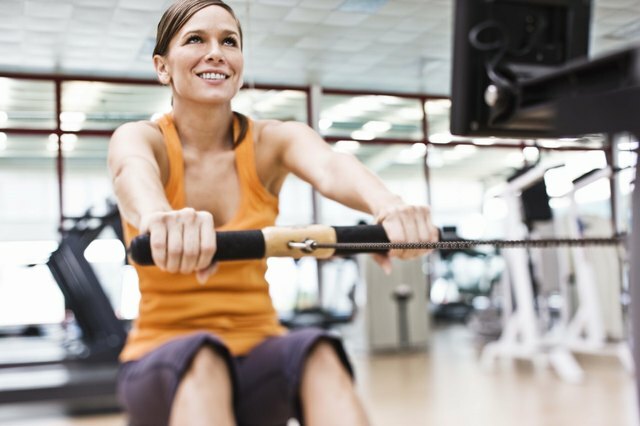 “Rowing is one of the biggest calorie burners,” says ACSM spokesperson Jim White. “You're using your legs, which is a huge muscle; you're using your shoulders, your back. It's continuous; it's one of the chart toppers.” In fact, rowing uses nine major muscle groups, including the hamstrings, quads, glutes, core, lats, shoulders, back, triceps and biceps. Of course, it all depends on the intensity at which you row and the conditions. Rowing inside on an ergometer, where conditions are controlled, may be less challenging than rowing on a lake on a windy day. A 155-pound person rowing on an ergometer at a vigorous pace can burn about 316 calories per 30 minutes. 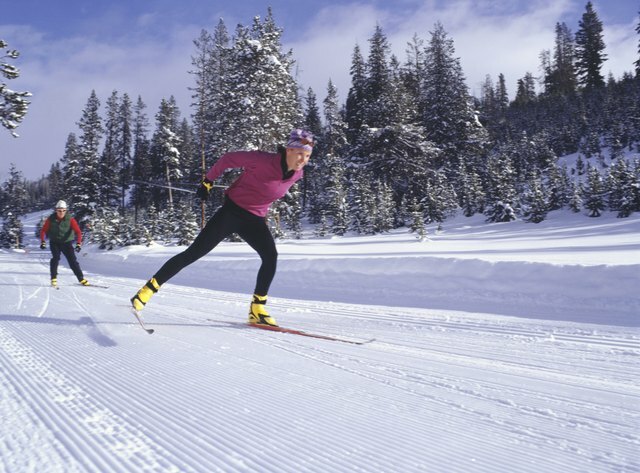 Cross-country skiing is a winner on professor Andy Doyle's list of top calorie-burning exercises. He explains that like running, you're moving your body over the ground when you're cross-country skiing, which automatically makes it intense. “But now you're using your arms -- poling -- as well as your legs with the skis. If you look at doing that going uphill versus on the flat, then that increases the rate of energy expenditure even further.” A person who weighs 155 pounds can burn 298 calories cross-country skiing for 30 minutes. If you don't know what burpees are, first, be thankful. But to clarify: A burpee is a full-body exercise that entails squatting down, kicking your feet out into a push-up position, doing a push-up, jumping your feet back to your hands, then jumping up into the air and reaching your hands over head. Just doing one or two is no big deal, but doing them continuously for a period of time gives you one serious calorie-burning workout. Although difficult to quantify in terms of calorie burn because of all the variables, burpees involve all the ingredients for major calorie burn: full-body muscle recruitment, resistance and intensity. 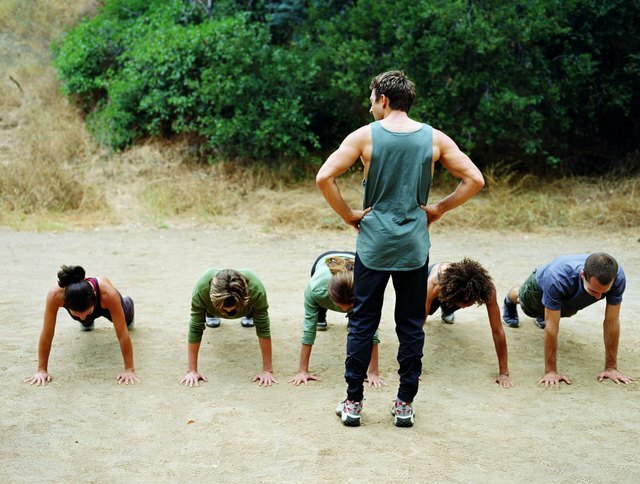 A 155-pound person can burn 298 calories per half hour doing vigorous calisthenics, similar to burpees, for 30 minutes. Do them continuously, if you can, or break them up into intervals interspersed with another activity such as jogging or jumping rope. “If you're short on time, your best bang for the buck is to go at as hard an intensity as you can for whatever time period you have,” says professor Andy Doyle. Use a heart-rate monitor,fitness tracker or an app like Livestrong.com's MyPlate to get a more accurate estimate of calories burned. Even if you're limited to walking because of a medical condition or injury, walk as fast as you can or walk up hills, and you're going to burn more calories than if you stroll at an easy pace. Push yourself to your limit, and you'll reap the rewards of a fitter, leaner body.